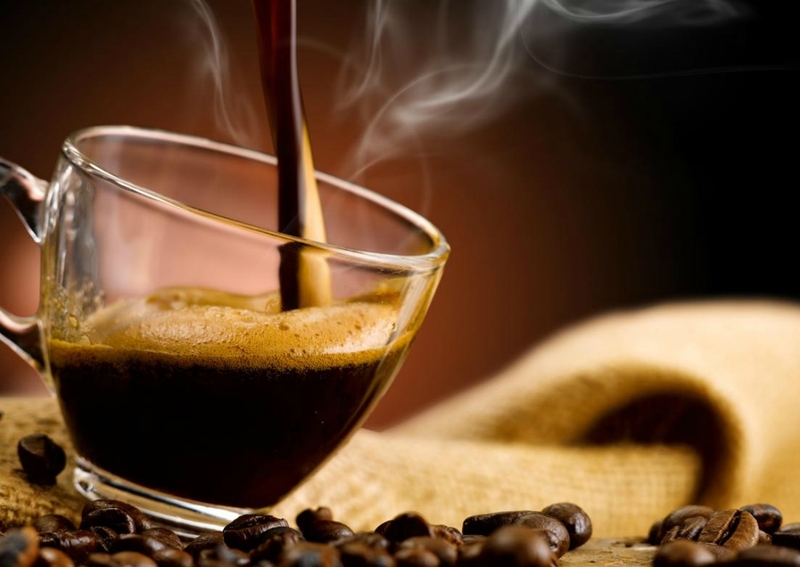 Coffee contains a wide variety of bioactive compounds including polyphenols, melanoidins, and diterpenes. Coffee consumption may have either neutral or beneficial effects toward human health. In this review, we summarize current evidence regarding the association between coffee consumption and breast, endometrial and ovarian cancer, as well as molecular mechanisms underlying the beneficial effects of coffee. The epidemiological evidence suggests a protective effect of coffee towards postmenopausal breast and endometrial cancer. However, no statistical association was found between coffee and ovarian cancer. The chemo-preventive effects of coffee phytochemicals may include activation of anti-oxidative and anti-inflammatory response. Finally, coffee bioactive components where shown to inhibit cancer cell proliferation and metastasis, as well as modulation of impaired angiogenesis.